I was having an very interesting conversation with a photographer several days ago and something he said has continued to ring in my ears. He said, ” I see so much good work, I just wonder why bother, I will never be that good!” I know how he feels, but I’ve got and answer to “why bother!” First let me set the stage by saying that he is certainly right about the wealth of great work today. I have favorite photographers just like everyone else, let me share the work of some of my “photographic” heroes and then let me continue this train of thought. 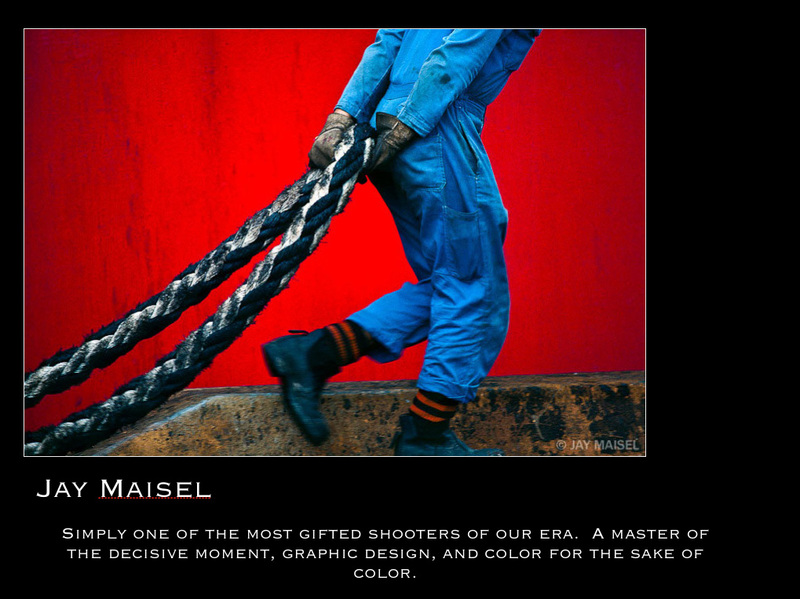 You’ve just been exposed to the work of five photographers whose work I love and try to emulate. Will I ever be as good as any of them at these kinds of work? Truthfully, that is not the relevant question. The relevant question is, “am I enjoying working hard to get better?” If your hobby or passion makes you miserable, stop doing it, pick a new hobby! Let me share five ways to get better at photography and enjoy it more in the process! (1.) Remember this is a journey, not a destination. Instead of worrying about how good others are, think about what you can learn from them and how you can work to improve your own images. Take full advantage of the people, places and conditions you can enjoy. Soak in the joy of just holding a camera in your hand, and attempting capturing all the beauty God has made! (2.) Celebrate the success of others. It does not make you any better to down grade them or their work.. Nothing kills creativity and vision worse than being blinded by envy for what others have accomplished. True joy is when you appreciate what others have done, and aspire to do so well yourself! Be thankful for those that inspire you. In all honesty, they have probably earned it with hard work, are you following that example? (3.) Find your passion and then work it. If you love flowers, shoot flowers, if you love airplanes, photograph airplanes! You will never find real photographic succes trying to photograph things that simply do not interest you. An understanding of your subject will open your eyes to see much more deeply, and find the most creative ways to capture your subjects. (4.) Don’t be afraid to experiment! The great advantage to the digital age is we can shoot, look at what we’ve captured, and still have the chance to try it again in a different way, all while standing right in front of the subject! That’s a luxury we never had with film. We learn by trying, observing, and trying again. Keep working the scene! There are no short cuts to experience! (5.) Have fun! I’ve reached and age that if it’s not fun, I’m not all that interested in it! The love of photography should be a time of great joy for you. The people and places, the experiences, and the joy of learning should make you happy, if it doesn’t, maybe this is not the hobby for you. 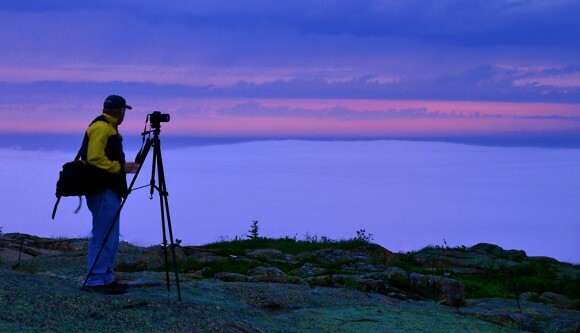 I’m celebrating my 44th year of being a working photographer, and at this point in my life, I have only one photographic goal; “to be better tomorrow than I am today, and love every minute of the journey!” If I can do that it won’t matter how many great photographers there are in the world! P.S. Did you notice how many times I used the word “work”, that might be a tip! Another great post. Well said and appreciated. Bill, I am honored to be included in such great company. Your post will ring true for so many photographers and you answers to “why bother” is right on the money. A perfect post in this era of photography. We’ve seen a lot of them, haven’t we?! Doing well, Hope you are too my friend! Thank you Bill for starting my day off with your inspiring words. I have been struggling a lot lately with my photography and was considering putting my camera away. Don’t do that,just start having fun with it! Thank you for this post. I do sometimes wonder why I bother when I see others’ work, but I have to remind myself that the people who matter most to me (friends and family) love my pictures, and so do I.
I love the inspiration that I get from other photographers, which is why I share photos on Google+ of photos that catch my eye. Good advice. Not only applies to photography, but any endeavor. Thanks for your thoughts. Your photographic work looks plenty good to me. Thanks, I’m having fun with it! Some terrific advice here. I pretty much figured this stuff out by myself but it’s great seeing it put into words. I DO wonder “why bother” but when I see how much better I’ve become in the past 3.5 years, I’m happy I’ve continued to bother. I truly enjoy learning from other people and I find that some of the younger photographers out there have a way of seeing the world much differently than I do; it’s a joy to learn from them. Thanks for the inspiring article. It’s always hard to swim agains the current, but he reward is terrific! Wonderful piece and advice, stumbled on it and your beautiful work by Scott Kelbys G+ post this morning. Love your work Bill! Thanks John blessings back at you! “Remember this is a journey, not a destination. ” that is so true for me, a lot of times it is the stories I bring back from the photo shoot, rather than the image itself. Amen to that, often the image is secondary to the great experiences. Enjoyed your article. Have to agree, especially about shooting what you enjoy. Too many people think they should shoot what someone else shoots — or how someone else shoots. I still like to experiment and try different things but the more often I work the subjects I’m interested in the happier I become. Are you planning on visiting us at SANP in Knoxville again anytime soon? Bill, “why bother” has crossed my mind many times, it’s like you read my mind with this post. Thank you so much for the reminder, too often in the hustle and bustle of this world we are only focused on the destination, but the real joy and excitement comes from the journey. I have enjoyed your work over the past few months. First saw you on Kelbytv. Thanks for the works of wisdom and incouragement. i am at an age that i need to focus on what i am good at and enjoy. This is so true. I am a strictly amateur photographer with a point & shoot digital that has so much fun taking pictures. Thank you for voicing these feelings and sharing them. thanks for the inspiration, I love looking at others work and learning something new from them. Sharing this with others. It’s the best part of photography! Thank you for your post. Even I am into photography for about 7 years. And it’s just a hobby. I was wondering the same thing as your friend when I looked at other photographers’ works like Ian Plant, Marc Adamus, etc… especially those that are near or the same age as me. But every point you have made in the is so true. I love photography. You are so right Bill !!!! Thank you for sharing these thoughts with us. I am a 90 year old amateur photographer with a Canon PowerShot SX200 camera. I like to take photographs which I can use as inspiration for my paintings. Everyone sees differently, and with a different perspective–it is not a matter of ‘being the best’ but finding the joy that comes from seeing your unique vision captured. Well said Betty, and good for you! Thank you for this wonderful post. I constantly strive to improve my photos and other photographers are great inspiration to me. My photography is a work in progress and I look forward to many years of progress. So is mine, Maralee, so is mine! This has been a week full of joy. We are in the Tetons visiting our son who serves at the ministry of Jackson Hole Bible College. I know that I am not a “pro” but let me say, that there is so much joy in photography – just amazing to capture God’s glory in His creation. Bill, I truly enjoyed your comments. Life in general is about the journey and enjoying it along the way. I am 64 years old and have been doing photography for over 30 years. I was asked the other day if I had ever taken a perfect photograph. My response was “while I have never taken the perfect photograph, I have observed and photographed a lot of perfect subjects”. It truly is all about the journey. Wow, guys this is what happens when you write about these great shooters!!!!! Thanks for jumping in! When you are passionate about your work/hobby, you don’t worry about the minutia. You’re right, forget the minutia!!! One sees a lot of great photographic advice in Bill’s blog. This is among the very finest, especially because it’s pertinent to all skill levels. And those five points define every one of the His Light events I’ve attended! Well bless your heart, you’re a real friend, look forward to seeing you in November! Such a great, provocative post, Bill. Then, all these comments here. Man, oh man! What nourishment for my soul today! Ya know….I’ve not had many people who gasp in amazement and adoration of my photographs; however, I’ve had many people to look at me, either when I’m showing my photos (coupled with the ever-present Southern stories about the experience) or when we’re out shooting together, and say, “Larry, you really love this, don’t you?” Of course, my answer is “Yes!” But, it’s not just the photography–the technical part–but the experiences. Yes, I learned a great deal from your online course from the Smokies, Bill. But, more than that, I enjoyed watching you ENJOY that time, even though it was quite cold when you were filming. You put a smile in my heart…and, oh yeah, you had a camera along for the experience. Keep it up, brother! And, major “high fives” to all those who have commented here, too! Thanks Larry, you’ve got it together for sure! Thanks for this post Bill Fortney. Love this vision, “way of life”, because i think the same. And there’s always a tip… ok… tips : work, pleasure, work, knowing, work, pleasure, sharing our passion, work, pleasure, etc …. Thank you for this share, it’s so good to read things like this. This is the secret, believe in something and live for it! Thanks Mike, you’re a great shooter and I appreciate you comments! Wow, truly inspirational. You’ve inspired me a lot. I have always been insecure of my photos. And after I’ve read your article, I realized that photography, for me, is about the joy in capturing the moment. Thanks Bill. Always remember Rhys, the first person you must please with your work is you! Thanks Karen, Luke is preparing to become a Navy Seal! Wow! So much of what you’ve said rings true with my own feelings about photography and where I’m going with it. Thanks for putting this down on “paper”. I will be sharing this with others as it is great advice. I am happy to say I have accomplished #’s 1 & 2 but it took some time and experience and acceptance that I am a good photographer but still have so much to learn. #5 is how I look at everything 🙂 Now it’s time to find my passion and experiment. You can, and I’m sure will do it! I’ve read everything that Scott Kelby has put in print and almost everything he has suggested to read. I “practice” when my girls (2 + wife) are asleep. I try something new every time I pick up my camera, and yet still I also learn and strive to learn. Thanks to Scott Kelby for reposting this blog, I am forever a fan!!! Though I will never be a truly great artist as you have mentioned above, I hope someday to at least strive for my own level of perfection! Thanks, Bill for giving me some more inspiration, to follow my passion ( I’m a pharmacist, I shoot mortars and pestles ) and love every minute of my own digital photographic journey! Then you are headed for greatness, in the only place it matters your heart! Bill, your post is only surpassed by your kind nature and humbleness. You actually respond to those who take the time to comment on your post. How rare is that! All the Glory goes to my Heavenly Father, and yes, if someone is kind enough to write me, I want to respond! Wow. Deep. Why bother? Because how you treat the journey determines how happy you are; how satisfied you are. Because the journey ends when you leave this world and not before. Why bother? Because bothering can change somebody’s life, and not just our own. Wonderfully stated. I’ve often said when people go to my funeral if the only thing they could say about my life was he was good photographer, I’ve been an utter failure! Amazing! Praise God! I was truly inspired. Thank you for this wonderful post very encouraging. I love photography ever since I was a little girl when I got my first analog camera, I am an amateur photographer sometimes I want to give up and shy away because there a lot of great photographers out there. Now I’m 32 years old and want to be serious and concentrate more. I asked God in my prayer for I know Jesus is in my heart that everything is possible, If He will allow Photography as part of my ministry and He gave me an answer, He leads me to this Photoblog.Thanks. Thank you Anya, I am here to serve Him and share His love, my only part is to show up and say Yes Sir to Him. This can be applied in any area of life. Thanks for that! Life is too short to be in a constant competition with other photographers. I come across a lot of people that have lens envy and claim their equipment is the best. I just laugh at them and feel sorry for them at the same time. It isn’t about the equipment you use it is about the ride! I wish I had a nickel for every time I put the camera down and enjoyed the view instead for a few minutes. Vinny, I’ve even forgot to shoot!!!!! I am just a hobby photographer, but I definately agree with everything you have said. I take pictures of things that catch my eye and because I love doing it. People do not understand when I refuse to accept pay. I only do weddings and special events for people that are special to me or that I know cannot afford to have a pro and would have to be without pictures to help preserve the special times. I do this because I love doing it, nothing more. I do not aspire to being a professional, however I do try to continue to improve each time I pick up my camera. And, like you, I have forgotten to shoot because I was having so much fun introducing someone else to photography. Your post is truely inspirational and enforces the way I feel about photography. Thank you! You nailed it Bill. With the era of Internet and digital photography we are simply exposed to so many incredible photographs every day. 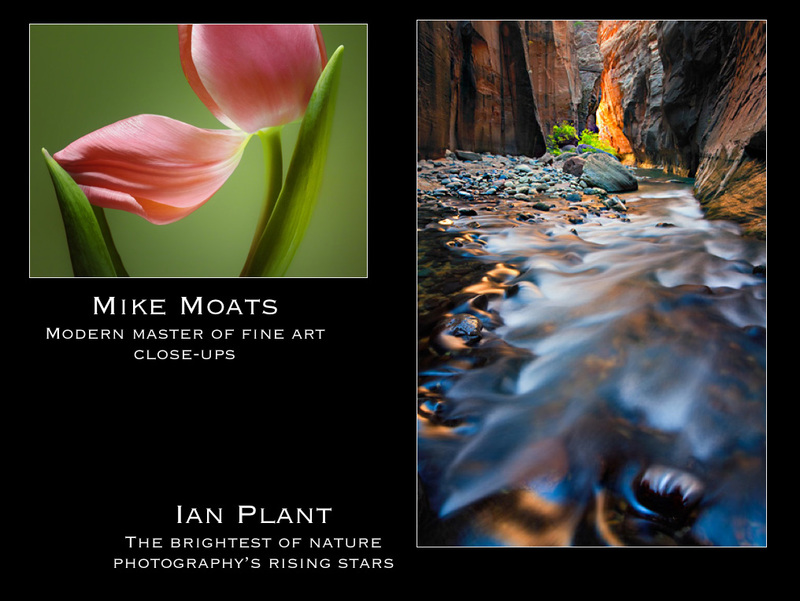 As a beginning photographer I enjoy every moment to see great work and I try to absorb as much knowledge as possible. And I want to thank you Bill for your work on the craft of photography, you bring inspiration to all phographers around the world. Truly a beautiful post. Such simple thoughts yet so true. Thanks to Scott Kelby for the link. Thanks for the great post Bill, I needed to hear that today. Sometimes I forget what brought me to photography in the first place. “Remember this is a journey, not a destination.” Great quote Bill & I have been blessed with many great journey’s. Then you are a blessed man indeed! Oh man, feels great after reading your post. Thank you so much Bill ! Thank you , Bill, for your inspiring words. I am also of the ‘age’ that i don’t do photography otherwise than when I love the subject or surrounding. And what is happening : people ask me to do work for them instead of me ‘selling’ myself .They recognize my passion of making beautiful pictures of almost nothing. So my ‘travel’ photography is nearby and round the corner.The great photographers are almost like a big family for inspiration .Thanks to the internet ! Yes we are building a mighty family indeed! I am more and more realizing that my greatest joy is the time in the field with friends! The images are almost secondary. Thank you. Very timely words of advice for me. I felt like I was climbing a mountain that was getting higher and higher. Now maybe I can enjoy the view along my journey, instead of feeling intimidated. Thanks again for sharing your revelation. One step at a time, one step at a time! You tell it short and precise, it was an eye opener for me to read, i’ve just started photography, and ive cought myself saying ‘why bother’ several times – But i’ve pulled myself together and ignored my own way of feeling and just kept shooting what i like. I will link to this and spread the wise words of a man with great passion for what he does. I would love to visit you and your country , maybe someday! Just found your blog,via scott kelby. You have written this piece very well, and gives me some food for thought, thank you very much for that. I will check out your 5 photographers who you find inspirational. You will enjoy seeing their work! Hey Bill, this is a great Blog Post that is right on! This does’t only aply to photography but to every thing we do. This article was so Good-I was just starting to think this way myself (Why Bother)-Such an encouraging read-Thanks for the post! WOW! Thank you for a really insightful article. As a novice photographer I have been trying my hand at all types of photography and feel that there are certainly types that are not for me. Articles like yours inspire me to try harder and improve my work. Once again thank you. You’re more than welcome, Denise. Thank you Sir! So thankful for people like you that are willing to teach and inspire the extreme hobbyists like us! I am a nature photographer, and my greatest joy is when someone looks at one of my images admires–not the image–but The Creator that made the subject. I sent you an email with a recent macro image. Speaking of inspiration–much of mine has come from YOUR work! I appreciate you and your photography and your joyful spirit very much! I love the Great Smoky Mountains, by the way, and go there with my sister whenever I’m in the States. One of my home bases is Chattanooga, TN. I loved your stuff and thank you for your service to Him! I’m an absolute beginner and – I’m italian – I speak and read English just a little. But I appreciate a lot what you wrote and I think this will be my Holy Bible for my journey in photo. Thanks, Sergio. Thanks Sergio, but take this as a suggestion and make the real Holy Bible your manual for life! Bless you! A tremendously inspiring post – this applies to all facets of life. As an amateur, there are days I have had all these thoughts while realizing how hard it is to standout. Having said that, I am an amateur and simply do not have time to work hard at photography like you and Scott, therefore my progress will be slower, yet just as rewarding. Photography is an amazing field and we should just be thankful for the opportunities we do get. Thank you for sharing your thoughts and putting things in the right perspective. I am enjoying my photographic journey, and reading this article just confirmed many of my beliefs. Some great advice in this post… thanks so very much. I’m going to share this with the photo club I belong to. It sure works for me, and welcome aboard! Great article, you must work at what you love and you must love your work to make it the best it can be. I try to pass that advice on to others all the time. Thanks for making it easier to share. Thanks for the inspirational words Bill as I needed them. God bless and thanks Bill! Kathy, I understand you loss,having lost all my family except my brother. I’ve twice survived cancer and know I’m only here as long as He has need of me in His service. I’m glad you’re getting back in the saddle. Much blessings! Thank you so much Bill for this very enlightening post! For me, just being able to get up each and every day and have the opportunity to see and photograph GOD’s beauty is amazing! I retired at 70 and haven’t looked back! I started my Photo hobby about 6 yrs ago. I not the best, but people like what I’ve done! Like you said … it has to be fun!!! I love learning, sharing and shooting! Every time I get in the car and drive somewhere, I’m always looking at the beauty around me … we are truly blessed in the USA! Thanks for your encouraging post! Dennis I’m right behind you, I am 66 and life has never been better, I wish and pray the same for you, God Bless. Thanks Bill for the insight and narrative. You’ve been a great mentor over the years (While I’ve never meet you in person, I have followed your px and writings.)! A humble person who practices what he “preaches.” Thanks so much! I’m trying, failing some days, doing better others, but still fully in the battle! Just came across your blog, and the first post I’ve read got me intrigued! I must admit, sometimes I do feel “why bother” as well, however when I look back on my achievements and focus on how I could become better, it becomes a goal for me in the end. I hope you don’t mind if I put a link to this article on our club website. It’s a must read! Fantastic post Bill, this really hit home for me! This applies to so much in life! Refreshing article! I look at my photography in a negative way (never good enough or what I expect from myself). You article sheds wonderful light on just being free from the drowning of fear and potential failures. Thank you for sharing. We all need a life preserver when it comes to how we feel about our work! I saw reference to this via a link in a FB friend’s post. Very good, thank you. Sometimes the problem is with how to find the resources that can best help to improve, though. That said, I still enjoy the challenge! We must all stay challenged! Great John, I will steal those one of these days, or should I say, may I borrow them! I found this through Scott on Twitter and I am so glad. It is what I needed to read because I sometimes I wonder too. I am 70 and have survived two cancers. It was during my recovery of the first about seven years ago I found photography. Loving it so much and teaching myself Photoshop has got me through some hard times. I cherish your words Bill and will keep them close because I know how much I love photography and learning – I just have to remind myself at times! Shairi I’m 66 and have survived two cancers, welcome to the club!!! Celebrate the beauty of what God has put before us and make Him proud of your work. That is my biggest goal, to make Him proud of my work! 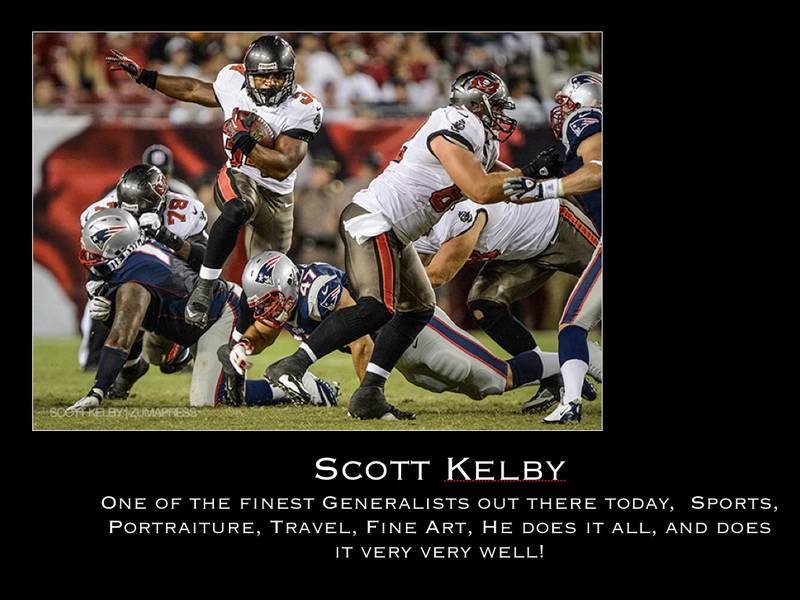 I am so happy you included Scott Kelby. I truly admire his work…and the way he works. I follow a rule of “Try, try and try again. If it doesn’t work, try on another day” I have sometimes gone back to places to try another shot with different light, time or weather which could make a big difference. I love looking at great works by other photographers, but rather than just admire it I would find myself stare at it for a while and try to figure out how it could have been captured. I find inspiration in others work and perhaps a new way of doing something I may have gotten into a rut with. I join you in awe of Scott’s work!! What a wonderful post, Bill…and after reading your site…. what a beautiful mind. I love your work… and your Kelby Training tutorial on macro photography made me look at that magic like a child seeing Christmas lights for the first time. Thanks for your inspiration. I may never try the things you have done but you sure make me want to do better with the photos that I take. Stick with it, you have a great enthusiasm for the craft! Amen. This is an insightful and encouraging article. I’m grateful to have come across it as pursue a career in photography. Thank you Sir. It was a lovely read and highlighted some of the points that I have been thinking about myself. Felt good reading about the same thing from a different perspective. Good one ! I came to this post via Scott Kelby’s post. You’ve got it absolutely right. I’ve been a photographer for over 50 years – and like you I say that if it’s not fun don’t do it. Sure there are lots of photographers out there but we can all get better and have more fun – enjoy your photography. Thanks John, enjoy every day of your life, photographic or otherwise! I got back into photography in 2006 with a Canon 400D or I think they call it in the U.S. Rebel something. Then in 2009 I walked into a book store here in my home town and was looking through photography books and came across Scott Kelby’s The Digital Photography Book. I ended up purchasing the 3 book box set. This changed something inside me and it made me realise that what I was doing was fun, exciting, doing it wrong most times and most of all it was FUN. By the end of 2010 I joined NAPP & Kelby Training, changed over to Nikon (D700) and was introduced to a world of excitement and professionals that teach what it is that they do, not only their hobby but their profession. One person that I was introduce to was you Bill. I had seen a photo of you with Scott and thought wow this really looks interesting. I love watching you classes and going back over them. So much to learn you just can not watch once. The sad thing that I have come across is people going out with a new camera & lenses after spending lots of money to become a Pro and get blown away out of photography because they did it for money first. For me the money is the last thing that I am doing this for. If I was not into photograph I would be falling back onto my trade as a carpenter as my hobby but I am in love with the camera and playing with the creativity that can be produced. I my not be a great photographer but Following people like you I am sure that will change. God Bless You Bill for your time and effort with the post, it is very inspiring and such a pleasure to read. Thanks Shaun, I have a real love for carpenters, one in particular!!!! Came across this blog through Scott Kelby, and I just wanted to say your words of wisdom were fantastic. Great post ! I am brand new to photography and have zero confidence. I needed this reminder that I am on a journey!!! Thank you for sharing your faith and belief in God. I will be reading your blog everyday! I didn’t wish anything in photography, and I bet you didn’t either. Professional photographers know that 1000 photo days are the norm, not the exception, to getting good. Fail a ton and know which way not to go! See what worked well and do more of that! Read, take more photos, review, repeat! You got it, How do you get to Carnegy Hall? Practice, Practice, Practice! Thanks Bill, I needed this to get back on track again. Thanks Bill, I needed this. Thank you for re-inspiring me when I needed it most. I was feeling down lately about my work. I greatly appreciate your words and your magnificent photography. Wow. Truly inspirational and applicable to not just photography but life in general. I am in the process of transitioning into a professional photographer and I will be bookmarking this post to come back and re-read when I get stuck in the “am I good enough” doldrums. Great article! I shared it on facebook with my other photographer friends. Thanks Bill, this was very timely, I am going through one of those periods in life where I doubt my ability. You reminded me why I started this wonderful hobby some 40 years ago with a battered Zenith! Then go and have fun! Great reminder,great message,well taken and thanks so much for your sincere article. Thank you so very much for this post. I started photographing in 2008 – a very special person saw some of my photographs and said you should consider photography. Ever since that day I have been hooked – it was like awakening from a deep sleep. Then due to circumstances I was only able to begin about six months ago and I was on a roll. I love love love having the camera in my hand – I am absolutely lost to the world. However in the last month or so I have been feeling “why bother” – there is so much better out there. Thank you for your post – I am keeping it safe so I can read it every time that question comes up again. Again I really appreciate it! I’m blessed by the read. Thanks for the words of encouragment. I came across this post by coincidence. But, I’m glad that it happened because my first interesting is graphic design, build websites and photography, it’s all relevant to each other and I’m looking for any tip that can help me to improve in any field. I can tell from your post and from a lot of sources that the most important thing that everyone need to is “loving what you do” . Thanks for your insight. Truly inspirational. I hope you don´t mind, I am sharing your “why bother” on my facebook site and blog, to give it to my fellow photographers in the Faroe Islands. Thanks again! I would be pleased if you did. So inspiring! I’m seventeen years old and have had a great interest in photography since the age of around eight (getting my first D-SLR for my 10th birthday). I often get asked whether I’m going to pursue photography as a career when I finish studying, to which I usually reply “I’m not sure, I doubt it – there’re too many people out there producing great photos nowadays, it’ll be too much of a struggle”. However, following this post, I seem to have had an instant sense of “why not? !” for which, sir, I’d like to thank you very much. Craig, Good for you, stick with sit, love when young people get involved in photography!!! Thank you for this post. Truly inspiring!!! I have only been doing this a year, but constantly struggle with the “why bother” question. I have come to the conclusion that I love it and that is why I bother. Thank you for this post and thank you for opening my eyes to 3 more people to learn from. We all need to learn, you are well on your way! The time that I can say – “That’s what I was looking for!” when I put the final touches on a shot is the best feeling – it may not be to the level of my favourites (yet) but it shows me that I am progressing – progress is good! Thanks so much for this post. I am the senior civilian photojournalist for the U.S. Army Reserve Command and you were gracious enough to sponsor me a couple of years ago into NPS after meeting me at the Atlanta Photojournalism Seminar where I was a workshop instructor. Your words in this post ring true for me, especially in the military photojournalism community. There are a handful of us who have, in the words of others, “made it.” What they fail to realize is that we have failed over and over but we get back up and keep at it, constantly learning and trying to improve our craft. You are right, jealousy and envy do not go well to improve one’s photographic work. I often tell younger Soldiers that it’s not about the awards and recognition, what is more important is that we are capturing images that tell the story of that individual Soldier we are tromping through the field with or that particular unit we are covering. It’s about getting to know your subjects and having that show in the images. With your permission, I would love to share your words with our Soldiers. Would you mind? Please do and thank you for your service! Great post. Straightforward, clear well thought out. The voice of experience for sure. And work? Yea, it’s all hard work and never gets any easier. But when it’s going good it never feels like ‘work’, just working hard at my joy and passion. But when it’s not working? Just work harder, press on and it’ll come. There are so many people working at extremely high levels, some I know and many I don’t but they inspire. At this point, 40 years in, I celebrate their achievements, emulate where i can. thanks for the post. You’ve learned a lot in your 40 years! I love pithy! Well said sir. Thanks William, I love Pithy too! I was surprised to see that the first three photographers you mention have also been in my Blog favorites folder as well as Scotts’ and yours. I’ll have to look at Mr. Begley’s Blog and I am sure I will add him to that folder. I have Why Bothered for many years myself, in fact I was once a hunter until the mid 80’s.Setting on a beach 40 clicks north of Puerto Vallarta I caught an attitude and came home and sold all my guns. With that money I spent it all on new and better lenses and a Nikon FE2. I then became a new hunter. I hunted for photo knowledge to improve and learn to see like a painter and camera. I hunted for the light. I hunted for new locations near my home. I hunted for the wind when I wanted the wind. I hunted for wildflowers God bestows on us each each Spring across the Texas Hill Country. I hunted for Alpenglow on the Rocky and Smokies mountainsides. I hunted for the fall colors that God’s glory has bestowed upon each Fall. Still I hunt as I never grow tired of the hunt and what lies around the next corner or over the mountain top. I had the pleasure to meet you a few years ago in Austin, Texas as you were doing a presentation at the Precision Camera weekend. I still long to hunt the colors at Arlington as I still get a tear in my eye, a lump in my throat when I remember that slide show you put up for all of us to see. I hope to hunt along side you one day…….. in Arlington perhaps. I am brand new to photography and have zero confidence! I worry to much about what others will think. I needed this reminder that it’s a journey and I need to enjoy it. Thank you also for sharing your faith and belief in God. Your blog will definitely be added to my favorites. There is only one person you need to impress ! Yourself!!! Thanks for the words of wisdom Bill… I am also still learning. I’ve only been shooting for about 3 years and thanks to wonderful teachers like you, I can look back at my first works and see improvement. I’m still learning. Jason, me too, me too. Thank you so much for a very good post. I really know what you are talking about. I started to really be serious about photography 4 years ago. I had one big goal, get the cover on Metal Hammer (Music magazine), i have reached that now. Now i have set my self new goals. And as you write; “to be better tomorrow than I am today, and love every minute of the journey!” is something everybody should have as wisdom, not only in photography. In the beginning i often asked my self “Why bother” when i saw how much better some people are, but now i use them to find inspiration to get better. 90% of my photography is music, but i still find inspiration in other types of photo and photographers, and you are amongst one of them. And thank you again for this good post. Kenneth, congrats on your cover shot, hang in thee! For me, the desire to capture and share images of this wondrous third rock from the sun and all her impossible denizens is enough to keep me working for as long as I possibly can. Like you, I try to get better at it each and every day. Thanks for sharing, it’s great to know their are many of us who feel the wonder of existence, which fuels our creative fires. Fantastic article. I was just saying those words “why bother” to myself after visiting an art festival this past weekend and seeing so many photographers with talent well beyond mine. However, after reading your post I am taking on a different attitude. Thanks for the inspiration! Hope you’re well. Glad to see this post getting some play around the social networks, because I think the message is valid. Keep doing what you do, old friend. Great to hear from you Doug, hope you are well too! and when people love my work and want to buy it that makes me smile even more….. I just happened upon this post today and I am glad I did. Very inspiring post and I am grateful to have read it. I often feel like “why bother.” So, thanks for taking the time to write this. Glas you enjoyed it Susan. It is such a pleasure! Thank you, Bill. I really need this today. Wonderful article. Very inspiriting just what I needed to read. That’s why I do this!!! I am not a photographer, but I do enjoy taking pictures. I got my first Nikon this past February. It is a D7000. My husband is trying to teach me how to use it. I am learning to how to use it but it will take me a very long time. But that is ok because I have the rest of my life to learn it as well. I am also a cancer survivor 2x. So like you I stop and smell the roses and give all the glory to my heavenly father. I count it as a blessing because I have been able to share the gospel of Jesus Christ with people I may not have otherwise been able to share the gospel with. Praise God for the different things he takes us throught in different phases of our lives. One of my life verses is Isaiah 40:31. There are many others but this is the one that has helped me the most. I am also going to be a first time grandmother in November. In fact right around Thanksgiving. What a precious gift God could bless our family with and a wonderful son, daughter, and son-in-law. Like you said earlier I am not perfect and I make tons of mistakes, but you pick yourself up and start all over again and again and again. Thank the Lord that he forgives us over and over and over again. Thank you for sharing one of the gifts God has given you. It really shows you heart not only as a professional but also as a person who just loves to photograph for the love of life and the Lord. Yes our heavenly father is number one in my life and it is nice to see other fellow believers sharing the gospel of Christ in the same way that I do. Only mine is not in pictures so much as it is going and reaching out to those in need. The Lord has blessed me with the gift of mercy and discernment and I try to use them to the best of my ability. Thank you for sharing all your beautiful photograps. It is really nice meeting fellow believers in Christ. God Bless you in your ministries and your photographs as well they are absolutely beautiful!!! God Bless and looking forward to talking with you soon. I am also on Facebook. I really liked your article here and that Last Line tells IT all…. Might I add a Quote from – Dewitt Jones…. Take care fello Photographer… Go capture the LIGHT. You seem to have covered everything we can say here so I will just repeat that as I see it we are just competing against ourselves. Each day to be better than we were the day before. The joy I get from photography and post processing is the reason I get up each day. Something new and different in front of my lens gives me the pleasure and anticipation of looking forward to each of those days. I just wish I could find a niche I liked, but I seem to like it all. I had the same feelings concerning “Why Bother? !” until I recently discovered a whole new world of photography called infrared photography. I had an old Canon 20D digital camera, which has a small one inch square monitor, and had it converted to an infrared sensor. 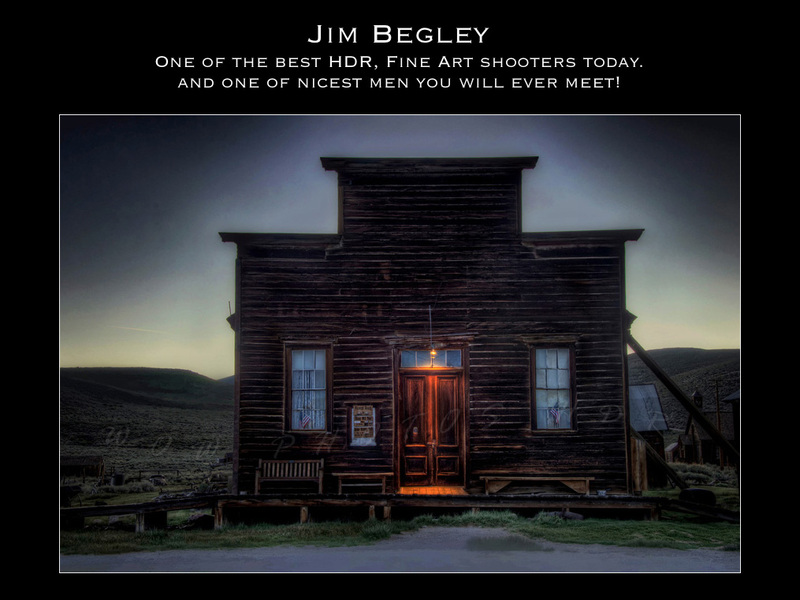 What a revelation and inspiration for this old shooter to learn a new way of viewing and capturing this heaven on earth. This is one of my favorite quotes and I too love every magic moment of this cosmic journey called life. Thanks Bill for your love of light! As I like to end my emails with this salutation. Thank you for this! I recently returned to photography after a long break and was never anything more than a motivated amateur. It’s nice to hear this advice, and it sparks my curiousity to learn again! Love your outlook and the challenge to all of us to love what you do and strive to be better everyday! What an inspiring, wonderful, articulate article. So powerful and meaningful. Thank you for posting. This post was an inspiration. Whenever I felt lost, I always reread this whenever and wherever. Thank you for this wonderful reading you have written. A person necessarily help to make severely posts I’d state. That is the very first time I frequented your web page and so far? I amazed with the research you made to make this actual submit incredible. Great activity! Great post gave me some food for thought. I don’t use the word word, instead I always call it play instead. I recently started watching and reading a lot of Scott Kelby’s podcasts. Obviously he has spoken highly of your work so I checked out your website. I had no idea you were from Kentucky. Thanks for the great post, for your vulnerability, and for sharing your testimony on your site. Truly inspiring! I know this post is a year old but I found it when I needed to read it. I have followed you for years and still to this day you are at the top of my list for favorite photographers… right along with John Shaw. Thanks agian for this post. I have tried for far too long to shoot what people would pay me for rather than to shoot what I wanted to shoot. I think it is time to start shooting what I love even if the industry is saturated with landscape photographers. Thank you Mike Moats for sharing this a second time. This is such a great attitude mental approach to take, particularly in this age of limited possibilities with digital capture and manipulations. The “why bother” question has been with me for some time, and your insights helped me. Not being a religious person, I nonetheless found a spiritual answer to the question. Because I’m also a writer, I put a few words together about that at http://shikli.com/blog/photography.htm. Given your background, I’d be curious what you thought of that.